DPM International was founded in May 2006 and is a project based consultancy delivering solutions for complex and diverse development challenges. Our first project was the design of a Strategic Development Plan for Jamaica’s Creative Industries, for which we utilised the strategic foresight technique. 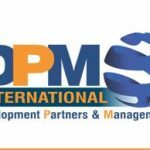 The organisation also delivered training and has set a global trend with the delivery of its flagship online training course Project Management for Development Practitioners (PMDP™). The PMDP was the first course of its kind, aimed at providing NGO workers, diplomats and humanitarian workers with the ability to learn project management wherever in the world they were posted. Today DPM International has taught more than a thousand individuals in project management and has executed numerous research and policy related projects within the international development community. DPM is the founder of the Project Management Global Institute and this Project Managers Career Centre. At DPM International we ensure that our services are delivered at the highest internationally accepted standards by ensuring that we ascribe to the various industry quality standards. Additionally we leverage our expertise in project management and international development to ensure that knowledge transfer is of high-impact.